Friends have paid moving tributes to the beloved model. 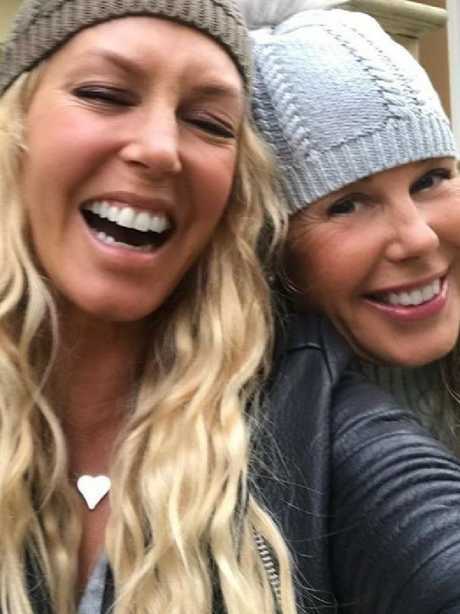 Judging by the heartfelt tributes from close friends of Australian model Annalise Braakensiek, it is clear she left a lasting impression on those fortunate enough to meet her. However, as the messages of grief and bewilderment keep rolling in, the final days of the beloved Fat Pizza star's life are shrouded in mystery. The 46-year-old may have laid dead for days before her body was discovered inside her newly-bought inner-city Sydney apartment on Sunday. Police still have no idea how long she was in her Potts Point home, but Ms Braakensiek's close friends hadn't heard a word from her in three days. The silence was completely out of character for the larger-than-life model - who would drop her friends a message at the most unlikely times for a simple catch-up, according to one of her closest friends, Gina Byrnes. In a heartbreaking and deeply personal social media tribute, Mrs Byrnes described Ms Braakensiek in a way that seems world away from the glitz and glamour of modelling and acting. 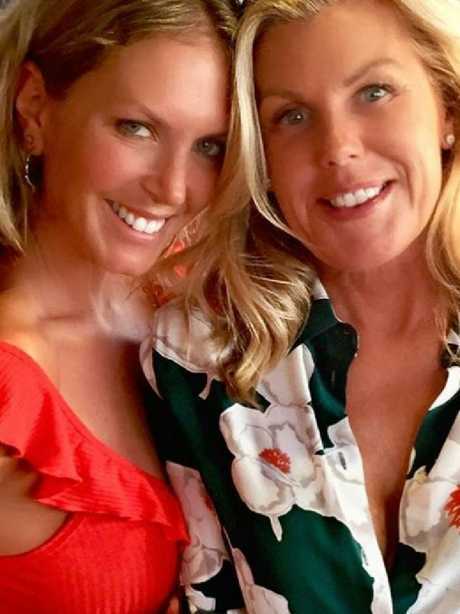 Annalise Braakensiek with close friend Gina Byrnes. Annalise lived with Gina for nine months. Mrs Byrnes, who shared her home with Ms Braakensiek for over nine months, recalled how the model was a dab hand in the kitchen and how she would text her at 4.30am just so the pair could meet downstairs for a "lemon water, a coffee and a natter". "You carried yourself with such grace dignity and poise," she wrote. "You had an ability to smile with your whole body - now that is an art. "You stayed committed to being adventurous, joyful, authentic, genuine, inclusive compassionate, forgiving and open minded. You loved passionately and fiercely." She added that Ms Braakensiek felt "so abandoned" and she was "misunderstood by some people" - but added she was "loved globally". "Thank you for opening up your beautiful generous heart sharing your inner secrets with me," the devastated friend wrote. "You made my soul shine and feel alive my spiritual queen. You rocked those long blonde braids like a true Vikingess angel face. Our motto was: Open arms Open hearts. Annaliese You are Forever in my (heart) I miss you." Gina would often get a late night message from Annalise to meet downstairs for a “natter”. Police and ambulance crews attended Ms Braakensiek's Potts Point apartment about 3.30pm on Sunday after friends and family became concerned about her whereabouts. Police rescue and ambulance attended the apartment where they found Ms Braakensiek deceased. 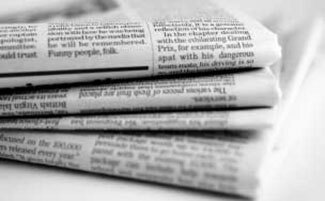 There were no suspicious circumstances, police said, and they will prepare a report for the coroner. Ms Braakensiek often posted to her 39,000 Instagram followers and was very honest about her dark days. She admitted last year was "challenging", particularly not having her own home. A close friend said the model could ‘smile with her whole body’. The Australian model split from her stockbroker husband Danny Goldberg in April after 16 years together. At the time, in a deleted Instagram post, she wrote: "I don't know if a broken heart mends or learns to live in pieces". 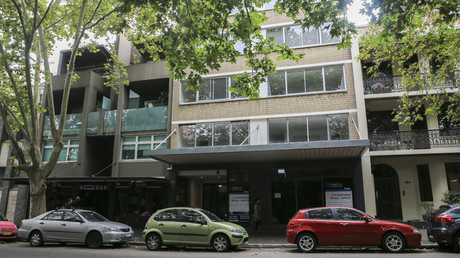 She bought the Potts Point apartment in November last year following the separation. When she bought the Victoria Rd property, she talked about plans to decorate in her signature style and told the Sun-Herald she was focusing on her work and her pet cat Frankie and "moving forward with her life". On December 5 she wrote on Instagram that her "biggest challenge was not having my own home (for a year now)". "I promise as soon as I move into my new abode I'll be back to cooking, sharing my new jewellery designs and being a general all round mega Vikingess," she wrote. She wrote on Instagram on December 15 about her "turbulent year" but said "all the pain and hard times are going to be a blessing". "Everything seems to feel twisted and upside down at the moment … am I right?!!!! Life's challenges have been deep, dark, difficult, demanding and down right scary lately. For me and so many others I know. But today is a new day," she wrote on Instagram. "I've also had some of the best jobs, travels and experiences of my life this year for which I'm THAT grateful. So, here's to happiness and light, endless possibilities and new beginnings!!!!" At the time, she said in an interview with The Daily Edition: "It was the … negative reaction people had to me being depressed and falling under the dark cloud. "In many ways my life is wonderful, for which I'm extremely grateful and there's no doubting that, but when you're suffering these kinds of things for people to say how dare you - you're a model, you're a millionaire, you're round the world. That's got nothing to do with this." Ms Braakensiek was a fixture of the Bondi community and was a strong proponent of healthy living - so much so that she was still very much in demand as a swimsuit model after nearly 30 years in the business. A close friend of Ms Braakensiek, Adriana Dib, who spoke to her in the days before her death said she had seemed "upbeat". "I spoke to Annalise on Wednesday night and I thought she sounded OK," Ms Dib told news.com.au. "I wasn't worried at all. We discussed the new year and all the wonderful things we would get to conquer and achieve. Devastated friends have paid tribute to Ms Braakensiek. Picture: Britta Campion. "To find out today that she's gone is so devastating, I feel out of body. She brought so much magical love to everyone she knew. "My life was better for having had her in it. We were kindred. I felt very lucky. The world has lost a genuine beacon of beautiful light." Friends began to worry, however, when Ms Braakensiek - who Ms Dib said was never one not to return a text message or phone call - did not respond to messages and calls from Thursday onwards. Heartfelt tributes have poured in for Ms Braakensiek. "So sad and gutted to hear about the passing of Annalise Braakensiek, she was an amazing person. I will always cherish the great memories we had on the set of Fat Pizza and on tour," he wrote on Twitter. "God rest your soul Annalise." Studio 10 celebrity commentator Craig Bennett described her as "this absolutely gorgeous soul". "Very much like Charlotte Dawson, there was an other side to Annalise and it was just a sadness," he said. Australia's Next Top Model judge Dawson died by suicide in 2014. Former McLeod's Daughters star Michala Banas also tweeted to express her heartache at the news. NSW Police says there are no suspicious circumstances surrounding the death.